During this month the CLS team always comes together to figure out new and creative ways in which they can make patients and other hospital employees aware of the multitude of ways in which they can be of service. 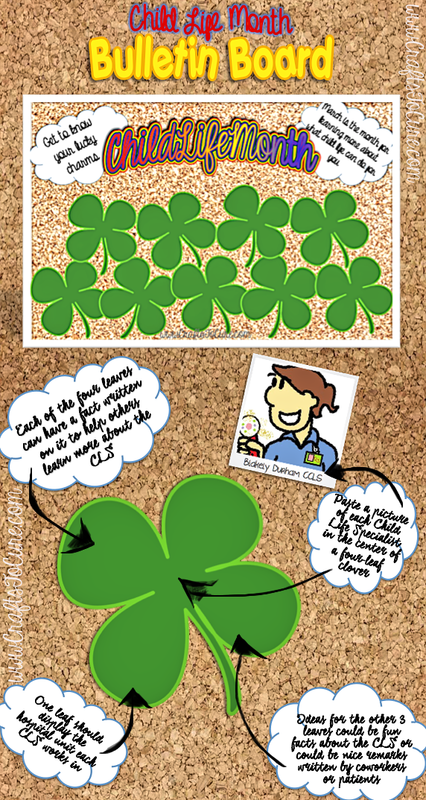 Because there is no time to verbally explain the wonders of child life to everyone, the CLS staff has to get slightly innovative with their approach. Some of the most common ways to spread the word are through brochures, handouts and/or unit bulletin boards. The problem that follows is knowing how to make those particular innovations stand out and grab the attention of others. 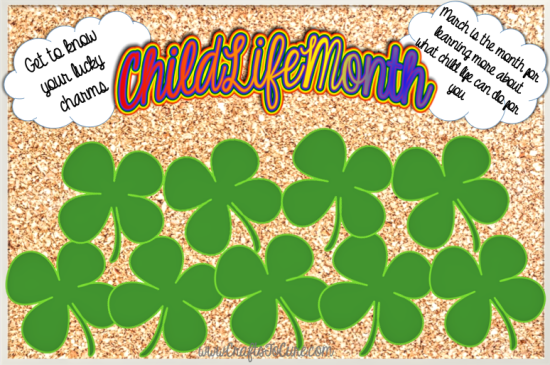 Child Life and St. Patricks Day!! The idea behind this bulletin board is to not only help people recognize the faces of the Child Life staff, but it is also a way to help people find a reason to connect with them. I love your blog. You have some really helpful instructions for crafts to do in the hospital. 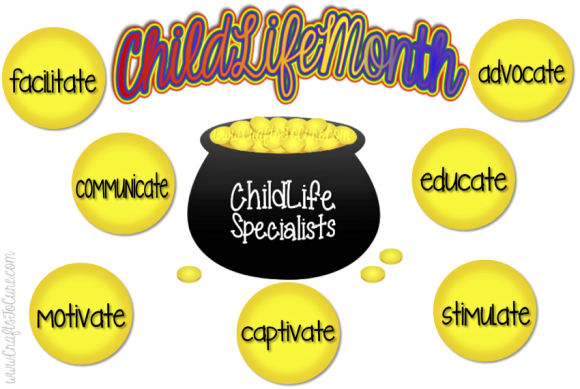 I'm a Child Life Student, so I love learning about what others do! Thank you!